The UHD 4K 6G Audio Extractor w/ HDCP2.2 extracts the HDMI audio with up to 192kHz sampling rate and converts it to analog stereo audio, for connection to external powered speakers or an Audio Amplifier. 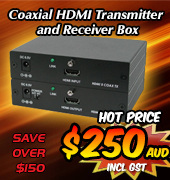 The 6G HDMI Two Channel Audio Extractor is designed to copy the audio component of an HDMI video/audio stream and convert it to a digital Optical TOSlink audio signal or an analog LPCM 2CH audio signal. The device will work with SD 480/576, HD 720/1080 and UHD 4K2K (YUV444) video and audio signals. The HDMI 2.0 Audio Converter with Dolby Digital Functionality supports the transmission of 6G video and audio (resolutions up to 4K2K@60Hz Ultra HD, and HDCP 2.2) through High Speed HDMI cables. This audio converter with Dolby® Digital and DTS® 2.0+Digital Out Decoder allows the audio component of the HDMI signal to be de-embedded, converted and simultaneously split to both digital and analog audio outputs, providing high quality digital and analog audio reproduction. This unit allows you to make the most out of your audio signal when relaying it to external speakers or to further extend the audio pathway to another location. ​This UHD 4K 6G Audio Extractor extracts up to 8 channels of LPCM audio from an HDMI source and allows the user to convert high quality lossless HDMI audio into multi-channel analog signals, for use with powered speakers or non-HDMI AV receivers. 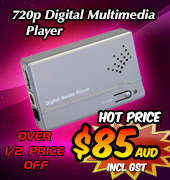 The 6G HDMI Multi-channel Digital Audio Extractor is designed to copy the LPCM audio component of an HDMI video/audio stream and convert it to a digital Optical TOSlink audio signal or an analog LPCM 7.1CH multi-channel audio signal. 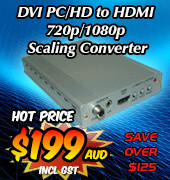 The device will work with SD 480/576, HD 720/1080 and UHD 4K2K (YUV444) video and audio signals. The 3G SDI to HDMI Converter allows SD-SDI, HD-SDI and 3G-SDI signals to be shown on HDMI/SDI displays while ensuring high bit rates of 2.970 Gbit/s to give you fast signal transmission without any loss. For professionals this means that it is now easier to distribute and extend your 3G SDI signal while giving you the ability to display your work on HDMI displays thanks to the built in HDMI converter. Furthermore, thanks to the loop-through 3G-SDI design, users are able to enjoy both SDI and HDMI displays at the same time. The new HDMI Audio with Dolby Digital & DTS 2.0+Digital Out Decoder supports HDMI audio signal extraction and conversion to separate Digital and Analog audio outputs. Incorporating the latest advanced audio technology supporting un-compressed LPCM audio and extra audio formats such as Dolby Digital and DTS 2.0+Digital Out. Use the HDMI Audio with Dolby Digital & DTS 2.0+Digital Out Decoder to direct your audio signal to external speakers or amplifier, via a wide range of audio signal pathways. 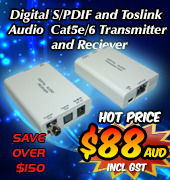 ​The HDBaseT to Dual 4K HDMI Scaler with Audio Re-embedding receives uncompressed audio/video along with Control, Ethernet and extra audio data over a single run of Cat5e/6/7 cable up to 100m.